Mile 22: Poplar, MT – First SAG stop of the day. Doug, Dale, Steve, Diane. Today was the second century ride (103+ miles) for the trip. Fortunately, compared to yesterday, the headwinds were manageable (4-10 mph) and I was able to bike 12.8 mph. As I mentioned in my prior blog – this was a long day in the saddle – but the temperature great for biking and the wind kept me cool. There was a lot of apprehension about the ride today due to the numerous warnings about traffic volume (due to the Williston oil boom), trucks, narrow shoulders, and road conditions/construction. 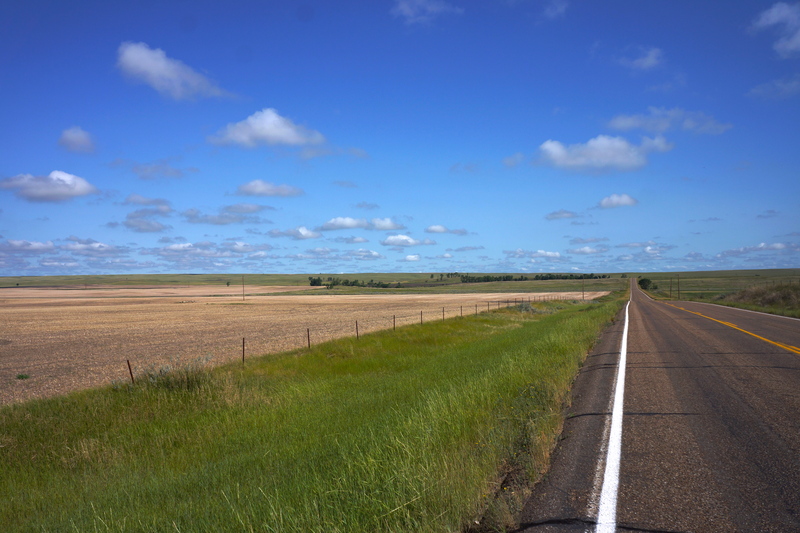 The published bike route across the norther tier was rerouted this year to avoid going to Williston due to the concerns (but it added 150 mile and required 50 miles riding on an interstate highway). I am very glad to say that reality did not match up with the warnings. We did not see any significant traffic until the last 25 miles (especially the last 10 miles outside Williston) when we entered North Dakota. Fortunately, the road conditions in North Dakota were much better the Montana – wider and smoother paved shoulders. Surprisingly, most truckers were far more considerate that we expected and moved to the left when they passed us to minimize wind on us. Additionally, the road changed to four lane divided before reading Williston. 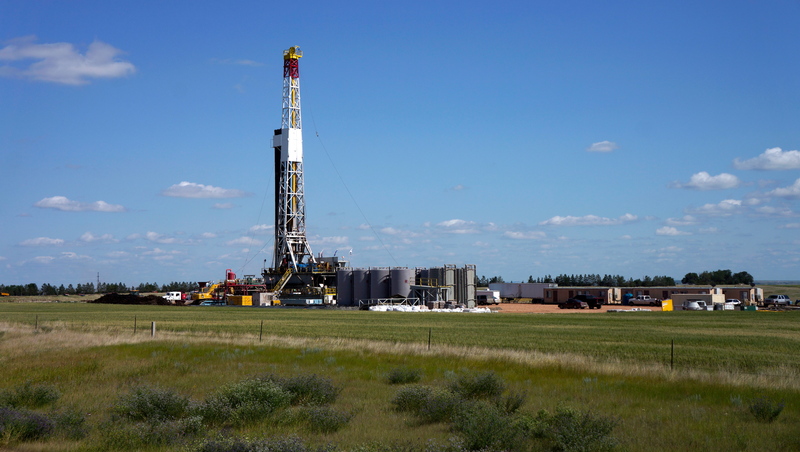 Williston was exactly as described – a boom town with more traffic than I see in Philadelphia. Every other vehicle is a commercial truck. Construction of hotels, temporary housing, commercial establishments everywhere. I went to a convenience store to get a Red Bull, but gave up due to the 15 people in each of two lines waiting to check out. The first restaurant we went to for dinner had a long wait (first time this has happened for the trip) so we went back to our hotel for a mediocre dinner – we didn’t want to wait since we had a 120+ mile ride the next morning. 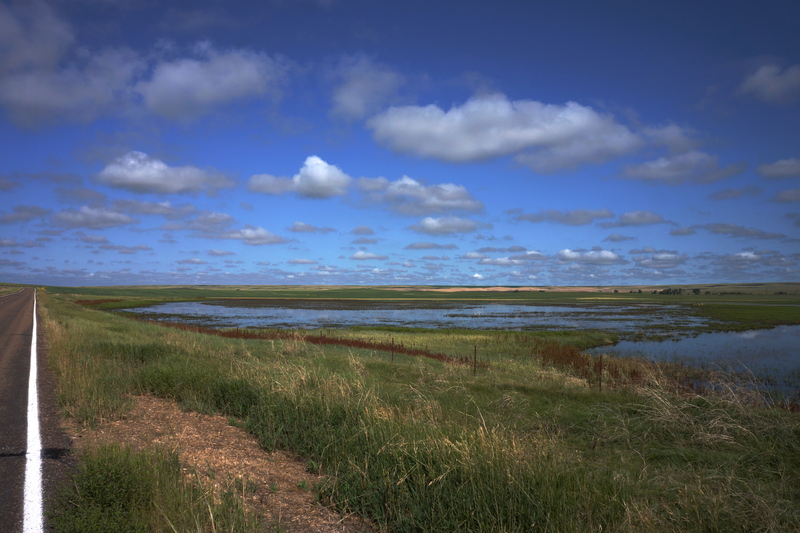 Mile 27: View on B1A in the Fort Peck Indian Reservation. It was empty of traffic, great views, but had cracks every 5 to 20 feet, thump-thump, thump-thump, thump-thump. 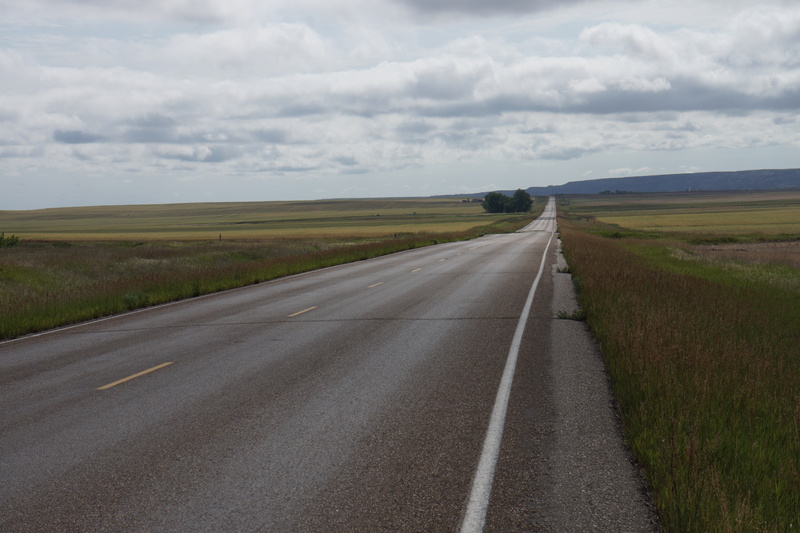 Mile 30: Another view on Route B1A on the Fort Peck Indian Reservation looking west behind me. Mile 33: Vista a I biked on Route B1A on the Fort Peck Indian Reservation. 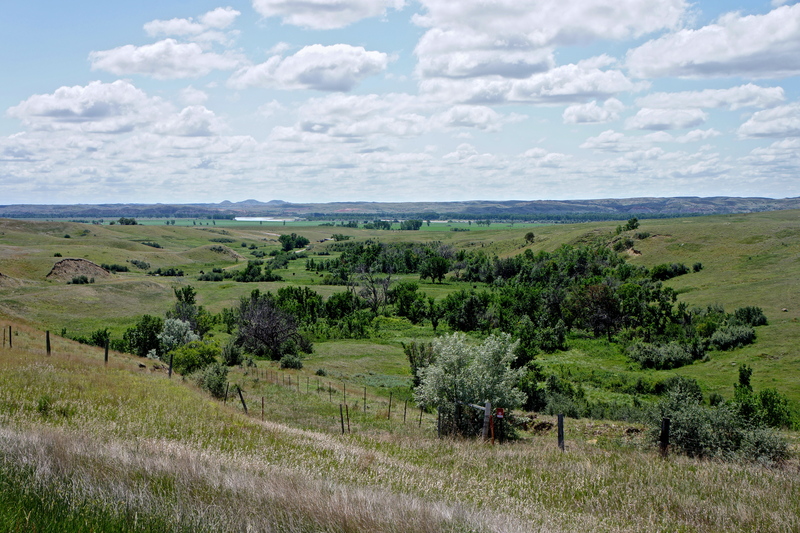 Mile 43: A beautiful view behind me in B1A in the Fort Peck Indian Reservation – B1A provided stunning scenery. 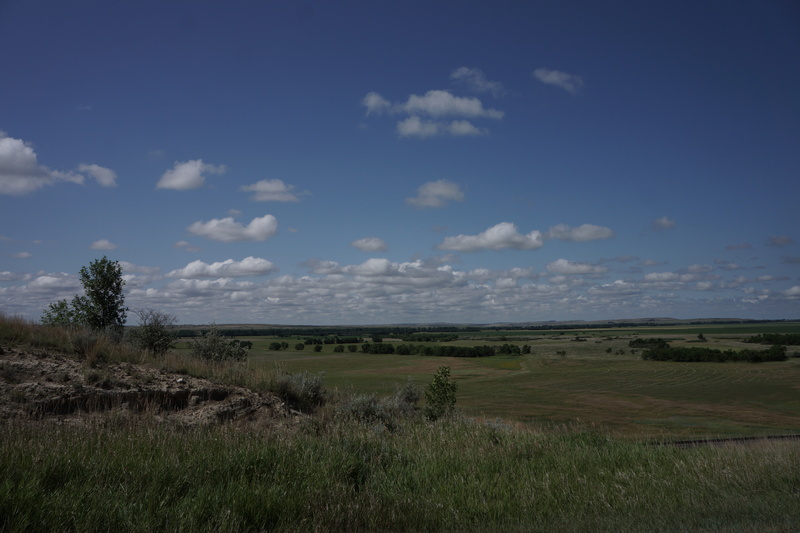 Mile 48: The land conditions changed as we traveled further along B1A on the Fort Peck Indian Reservation. 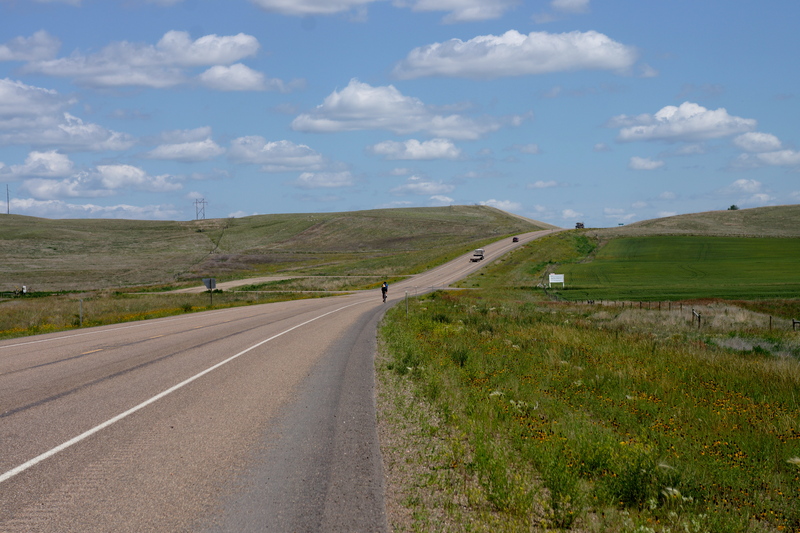 Mile 51: A change for me – being ahead of Jim as he climbs a hill on B1A on the Fort Peck Indian Reservation. 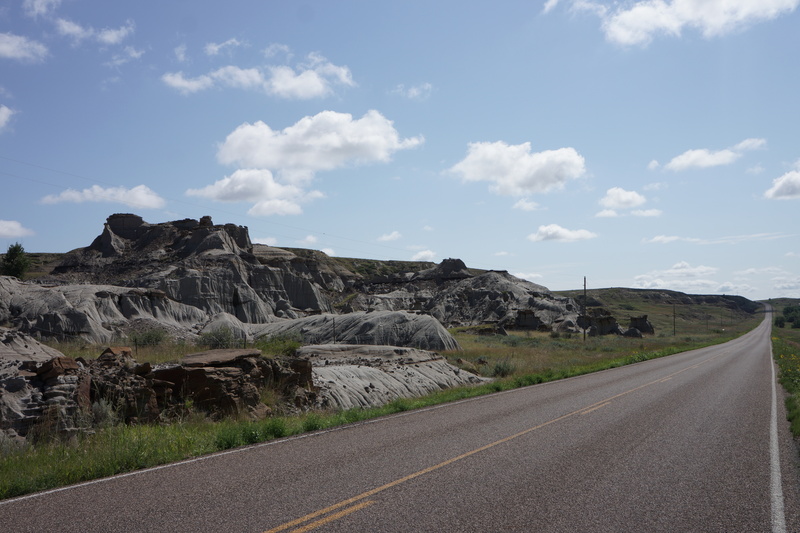 Mile 51: A real shocker – being ahead of Doug (probably because he had a flat tire – I can think of no other reason I ever got ahead of him) and getting his photo climbing a hill on B1A on the Fort Peck Indian Reservation. Mile 51: View south from same point where photos of Jim and Doug was taken on B1A on the Fort Peck Indian Reservation. MIle 55: View South on B1A, Missouri River in the distance. 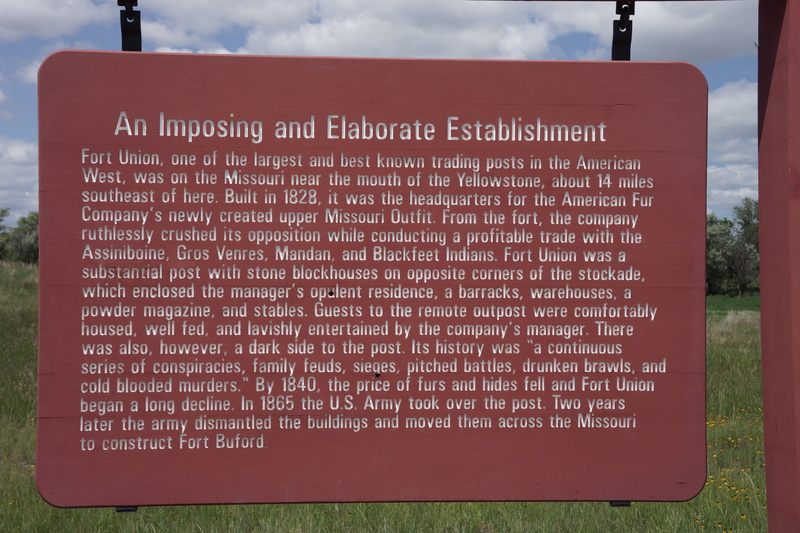 Mile 65: Historical Marker – An Imposing and Elaborate Establishment. Mile 77: Last photo taken in Montana of Jim biking ahead of me. 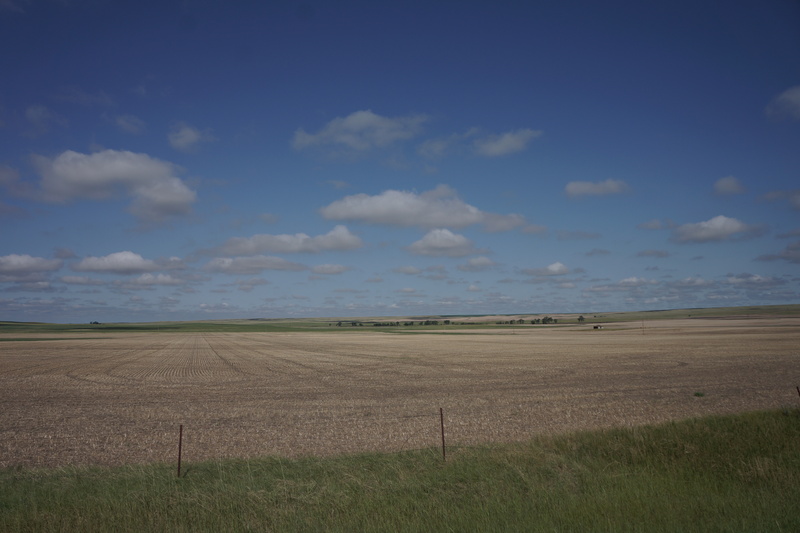 Mile 91: First oil well seen in North Dakota – about 10 miles before Williston. This entry was posted on July 8, 2012 by Steve. It was filed under Photograph of the Day .